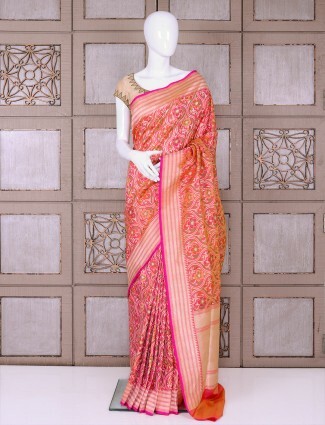 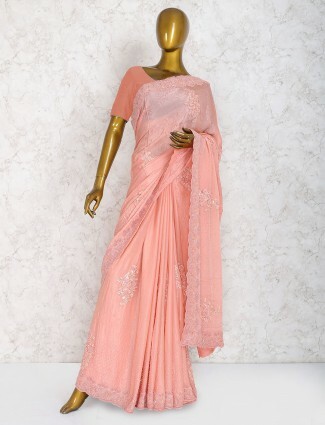 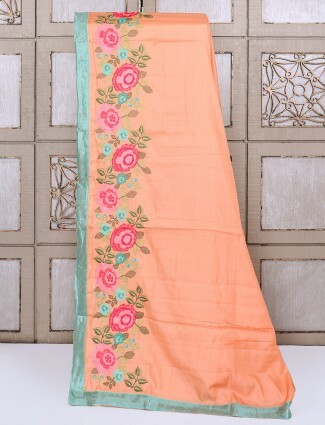 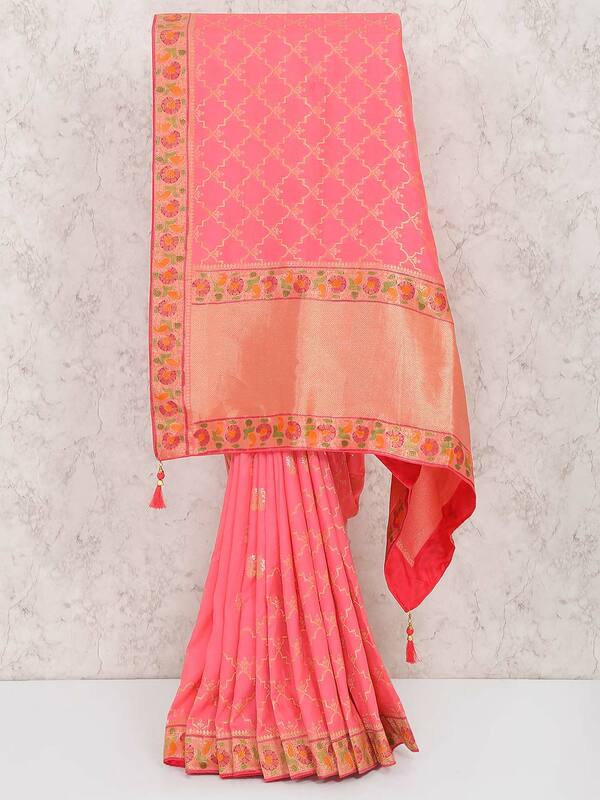 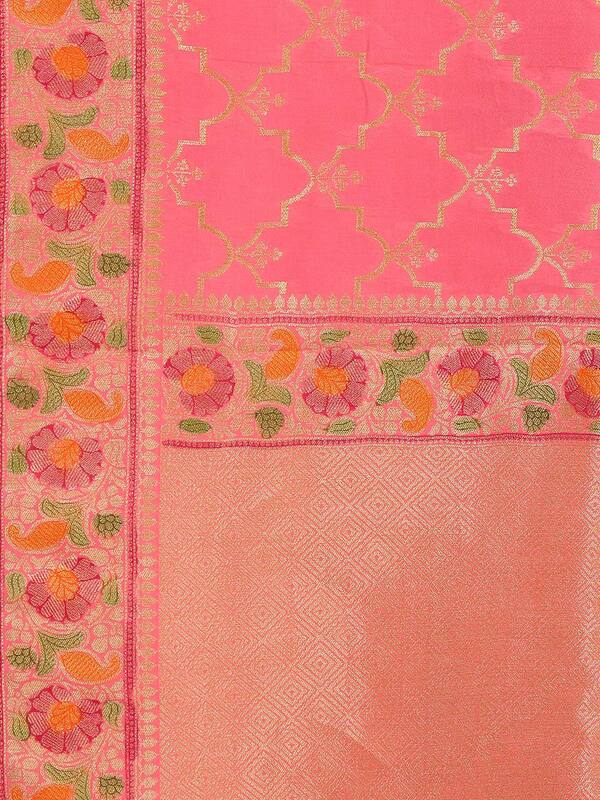 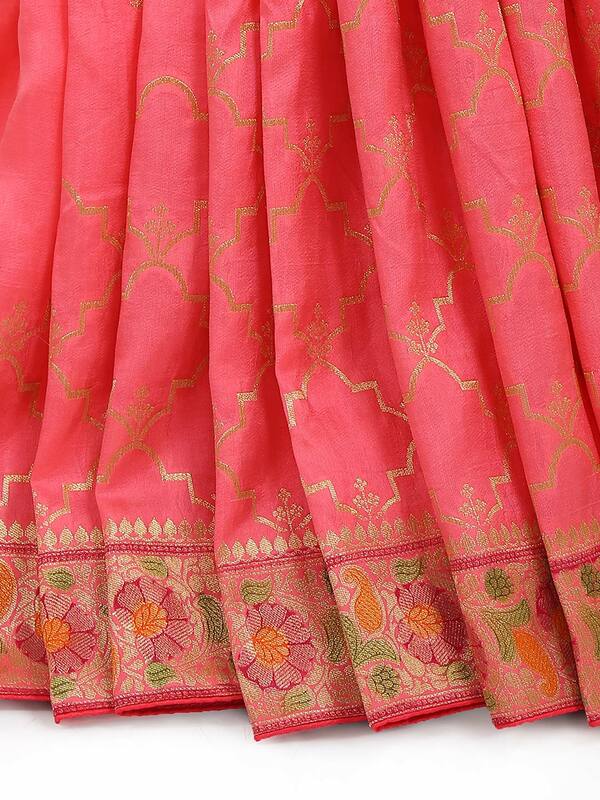 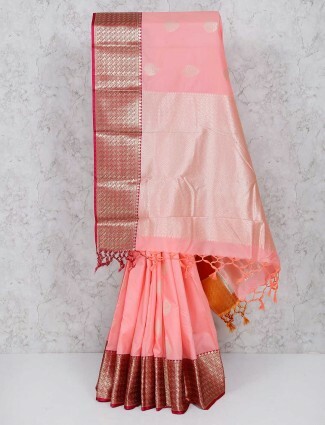 You look wonderful by draping this peach colored festive saree in muga silk. 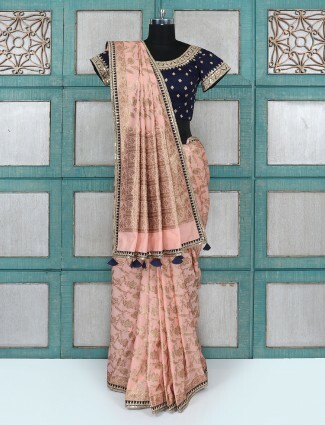 Embellish with zari and thread weaving over border and pallu. 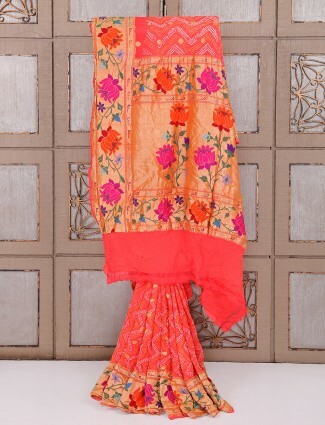 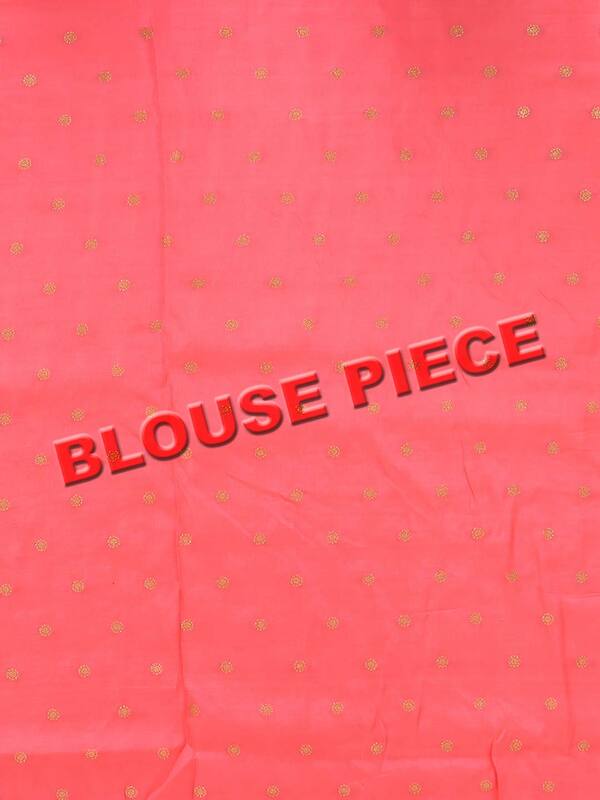 It comes with same fabric unstitched blouse piece.